Tracy is responsible for the day to day operations of WorkForce Solutions Group, LLP. She ensures that all clients’ needs are met and that our services exceed our client’s expectations. Additionally, she is responsible for the actions of all the professionals in the partnership and in creating a positive work environment which encourages teamwork, cooperation and collaboration among all colleagues for the benefit of our clients. 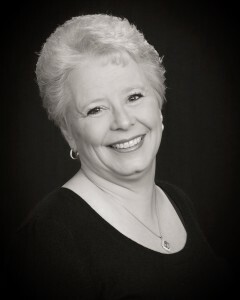 Tracy has over 25 years’ experience in Labor Relations, Human Resources and Accident Investigation. The majority of her experience is with unionized workforces. Tracy worked for two large organizations, in which her primary responsibility was as First Chair for all Labor Arbitrations. Additional duties included; responsibility to ensure the compliance with all federal and state labor laws; oversee compliance with collectively bargained agreements, letters of agreement and memorandums of understanding as well as responsibility for the resolution of labor disputes. She developed and implemented training programs consisting of the principals of; just cause, disparate treatment, past practice and industrial due process as well as sexual harassment training and federal laws pertaining to FMLA, ADA and ADEA. She assisted colleagues in contract negotiations pertaining to work rules, benefits (medical, health and retirement), and dispute resolution procedures. Tracy monitored compliance with federal DOT drug and alcohol testing procedures, ensured compliance with employee benefit plans under ERISA and IRS regulations and compliance with USERRA. Lastly, she was responsible for the direction and oversight of the individuals who are subcontracted to preform work as needed by the organizations. Tracy advocates on behalf of abused and neglected children in Allegheny County Family Court, with the nationally renowned organization. Tracy has a Bachelor of Science in Aeronautical Science, from Embry-Riddle Aeronautical University, in Daytona Beach, Florida as well as a Master of Art in Industrial Labor Relations from Indiana University of Pennsylvania, Indiana, PA.